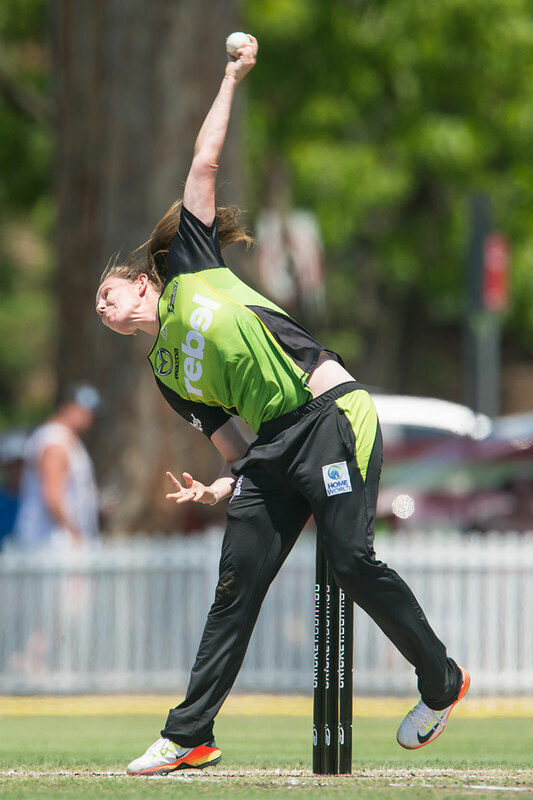 Left-arm orthodox spinner Samantha Bates caught the attention of selectors with an impressive few seasons playing for the ACT Meteors. 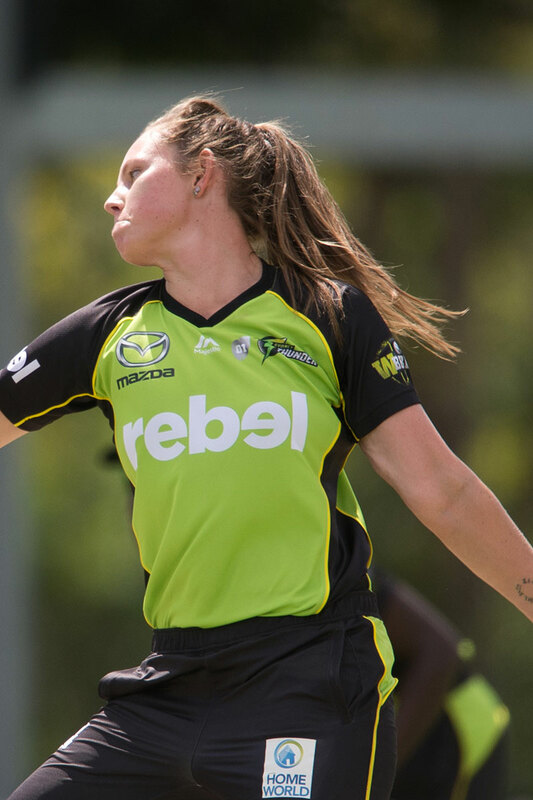 Having been selected to play for the Sydney Thunder in this season’s Women’s Big Bash League (WBBL), Samantha is returning to Canberra for a match against the Melbourne Renegades at Manuka Oval on Wednesday 24 January. 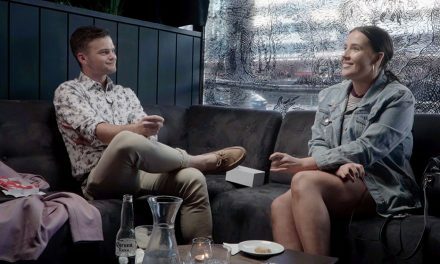 We caught up with Samantha to learn what it’s like playing in the WBBL and returning to the capital to play. Could you tell us a little bit about yourself? Where did you grow up? I was born and raised in Newcastle, where I played for the junior boys’ team because there was no girl’s team to play for back then. 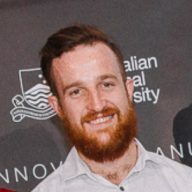 I moved to Canberra at 17 and have been there for the past 3 years playing cricket. 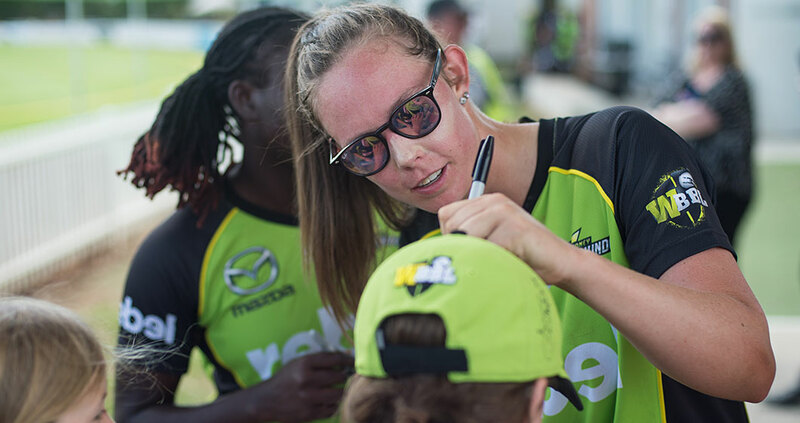 Then I was fortunate enough to be picked for the Sydney Thunder WBBL team. How did you get into cricket? Did you play for any particular club? So like most girls, I had an older brother and we just played in the backyard. After it caused many, many fights, my parents decided to enrol me in the local team, which was Walls End Boys Cricket, from under 10s all the way through to under 17s. 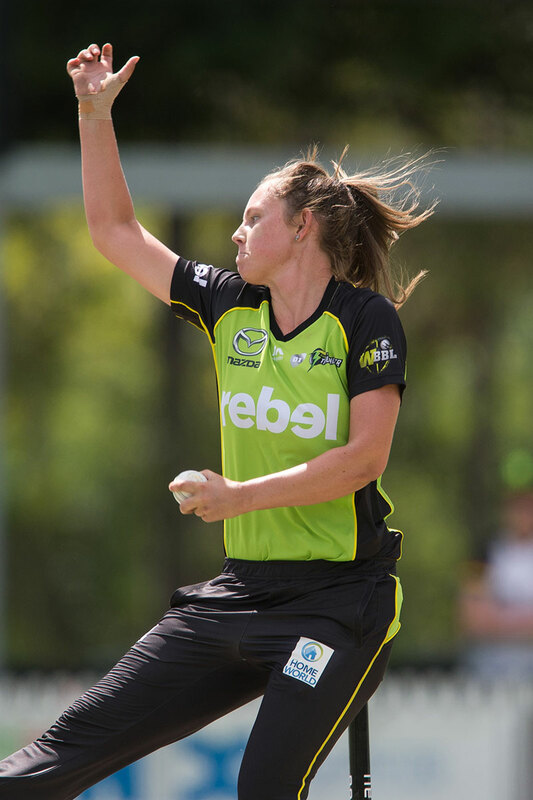 What’s it like coming back to Canberra to play in the WBBL but for a Sydney team? Yeah, it’s very exciting. Manuka is obviously a beautiful ground to play on, mainly if you’re a batter. 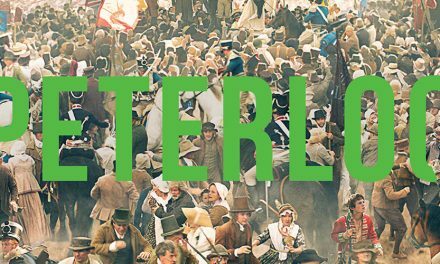 It’s still got something in the pitch if you’re a bowler, which is really good. To play in front of a hometown crowd, which is also sold-out, should be really exciting! Tell us about WBBL cricket. 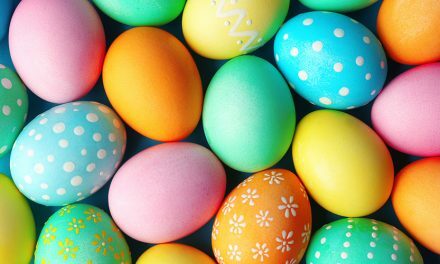 It seems like a very entertaining day/night of sport, is it fun as a player? It is really exciting. It’s a very quick-paced game, so you’ve got to be switched on 24/7. I suppose in a 50-over comp or a 3-day you can sort of turn on and turn off, but if you do that in a T20, you’ll probably end up missing most of the game. That’s probably the most exciting part of it. When you’re back in Canberra, what’s your favourite place for dinner? For breakfast? For a quick coffee? That’s a tough one! Canberra does have a lot of good cafes to go to. I have two that I go to most. I’ll probably go across the road to ONA at Manuka shops. They have pretty good coffee and breakfast. I do also like to go to a place in Braddon called 80/20. They’re probably my two favourite cafes. Well I haven’t been out in a while, but Mooseheads is probably the place to be if you want to have a good night! Where do you plan to take your Sydney teammates during your downtime in Canberra? Are you the impromptu tour guide? They haven’t asked me too many questions yet, but I feel like they’ll be bombarding me with all sorts of questions once we get a bit closer to the game. I was going to take them for a bit of a jog up Mt Ainslie, but given our tight schedule we might have to skip that. I do like a really good restaurant in the city called AKIBA – I’ll probably take them there if they ask me.